I like to mispronounce those vanity plates that try to abbreviate messages in novel ways. 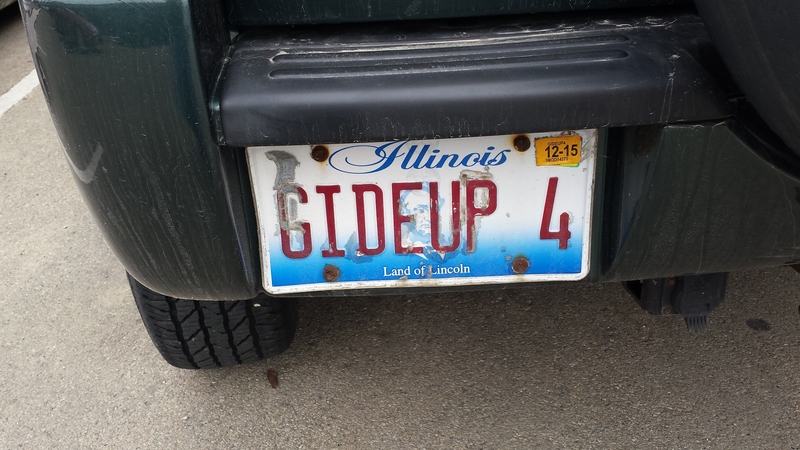 But this plate’s attempt at “giddyup” — maybe? — seems much closer to a shout-out to French author Andre Gide, which might not be strange in a civilized city, but isn’t likely here in rural Illinois.